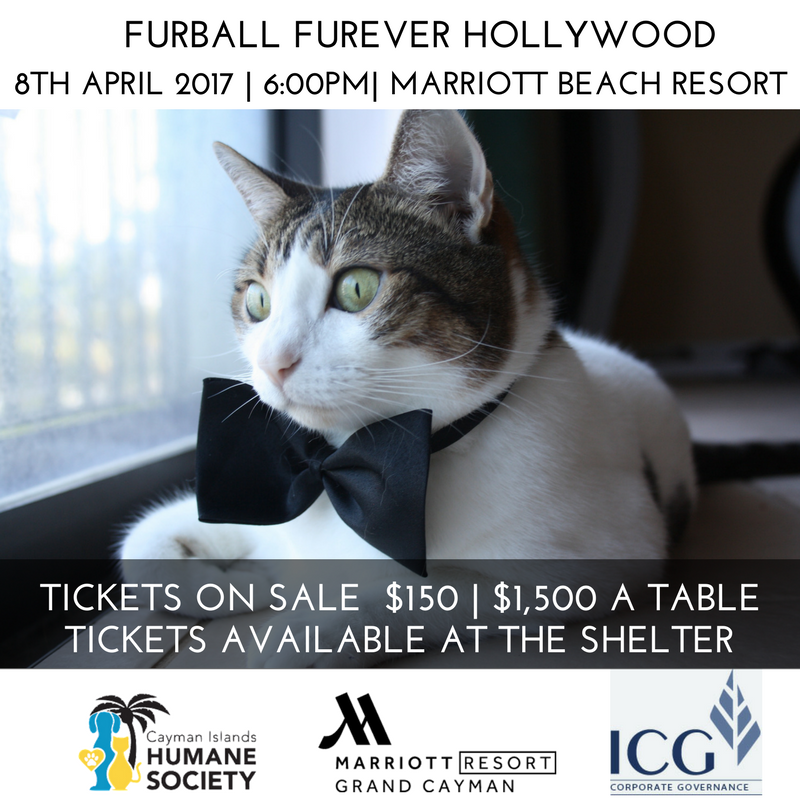 The Cayman Islands Humane Society will be hosting their annual Furball Fundraiser Saturday, 8th April 2017, 6:00pm at the Grand Cayman Marriott Beach Resort. This year, the gala is “Hollywood” themed. Inviting the community to dress up ready for their Red Carpet moment as paparazzi take their photo as they attend this glamorous event. Tickets are on sale now for $150 each or $1,500 for a table of ten. Tickets can be purchased at the Cayman Islands Humane Society Shelter’s reception. The night promises to deliver an atmosphere of a grand Hollywood party, with special guest host, Joseph Avary and music provided by DJ Flex. All proceeds raised will benefit the animals at the shelter. The Cayman Islands Humane Society is home to over 100 cats and dogs. These loving animals are all seeking to find their forever home and new family. Some of the furry residents currently reside at the shelter due to: being found abandoned, for some their former family moved to another country and due to unforeseen circumstances were unable to take their pet with them, and others have been found neglected or mistreated. Thankfully, the Humane Society provides a place of refuge and is dedicated to finding these animals a home. The Humane Society is the only animal shelter on the islands since its inception over 40 years ago. It is a No-Kill Shelter. Volunteers running the shelter carryout their mission to rescue, rehabilitate and find homes for hundreds of cats and dogs. In 2016, 450 rescue animals were saved and two-thirds went to loving homes locally or families in the USA. The Humane Society has developed partnerships with NO-Kill rescue shelters in New York and Toronto and send rescue cats and dogs to families ready to adopt them. The Humane Society relies heavily on donations and their annual fundraisers as it costs a whopping CI$600,000 every year (CI$50,000 a month) to run the shelter. 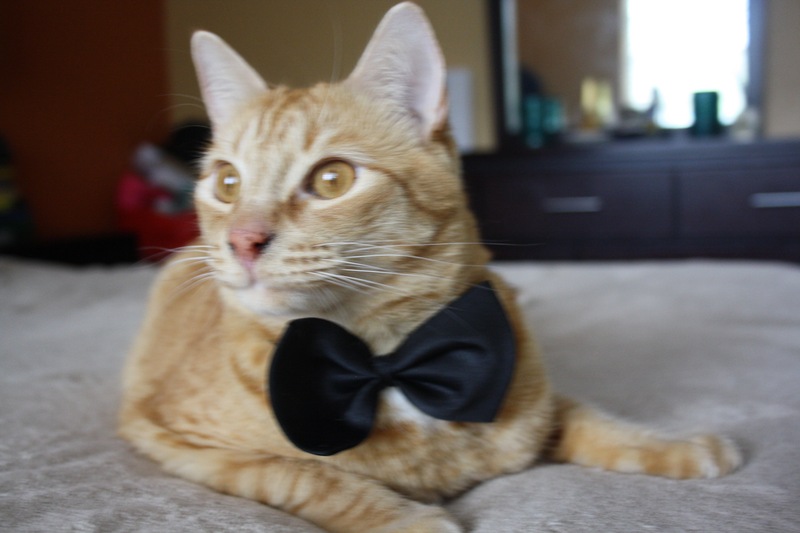 Donations and funds raised from their fundraisers such as the annual Furball, go towards: the wellbeing of the animals, emergency medical care for animals found injured, vaccines, and their spay and neuter program. A portion of funds will also go towards the building of a new shelter. Looking for a new furry addition to your family? There are over 100 cats and dogs deserving of a new home and family. If you are unable to adopt, there is always the option to become a foster parent to a cat or dog in need. Fostering one of the rescue animals that has undergone surgery or requires special medical attention until they can be paired up with their forever family is a great way to help the animals. Sometimes, the shelter reaches capacity, and fostering one (or more) of the animals helps give the animals a much needed break. You can sign up as a volunteer to walk the dogs during weekdays or on the weekends. You can also play with the cats in their official cat lounge. Book lovers, you can contribute to the wellbeing of the animals at the shelter by donating books and purchasing used books from the Book Loft, located above the shelter. There are so many great books available, and often you can find popular books and relatively new releases. The Book Loft also sells: board games, cds, and dvds. Books range from $2-$5. Love shopping for vintage clothes? Their Thrift Shop has a collection of clothes, accessories and an assortment of other great finds. As a non-profit organization, the Cayman Islands Humane Society depends on generous donations from the public and corporations. Many donors often choose to sponsor a kennel for either a cat or dog with the option to have a commemorative plaque dedicated in honor of their pets memory. Another way to donate, is to sponsor the bowl of a cat or dog, you can give as little as $15 a month. Finally, you can attend fundraisers as a guest or become an official sponsor of the event. Please consider helping the Cayman Islands Humane Society. The shelter faces many challenges not least the fact that the shelter receives in large numbers of surrendered animals many with medical issues that require a high level of veterinary care. Notes: Kiwi and Sparta (cats) are both rescue animals from the Cayman Islands Humane Society. I adopted them 2 years ago. They are such darlings.